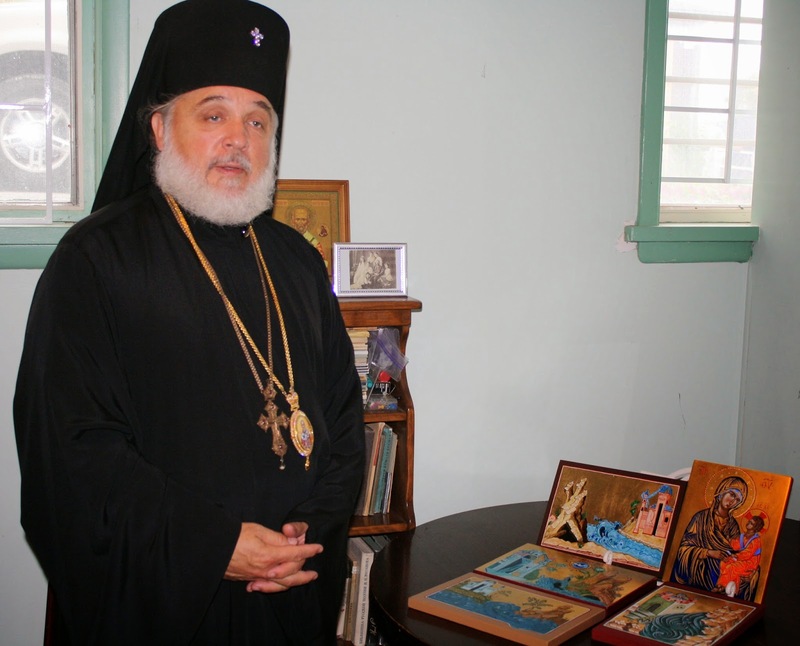 Russian Church » Interview with Archbishop of Montreal and Canada, Gabriel. Interview with Archbishop of Montreal and Canada, Gabriel. – Your Eminence, last year, 2018, was a sorrowful anniversary: the 100th of the murder of the Tsar Passion-Bearer Nikolai Alexandrovich and His August Family. How did the Canadian Diocese mark this event? – Last year, Historical Russia, that is, all of Orthodox Rus in the Fatherland and the Russian Orthodox diaspora, marked the 100th anniversary of the memory of the martyrdom of Emperor Nicholas II, His August Family, as well as Grand Duchess Elizaveta Feodorovna and those with them. To commemorate this sorrowful anniversary, all the parishes of our diocese performed molebens to the Holy Royal Passion-bearers on the very day of their wicked execution. In September, at the Church of the Smolensk Icon of the Mother of God in Jackson Point, ON, known locally as “Beryozki,” the construction of the Chapel to the Holy Royal Passon-Bearers was completed: this is the only such memorial to the Russian Tsar, Anointed of God, on the North American continent, which was widely reported on in the press. As late as May of last year, I visited the construction site and consecrated a new cupola and cross that was ordered from Russia, along with a large icon of the Holy Royal Family, which found its home in the new chapel. Later last summer, fulfilling the instructions of our Metropolitan Hilarion, I was to lead a pilgrimage to the holy sites of Russia. The pilgrimage started in Ekaterinburg, where the Royal Family was martyred, the landmarks Ganina Yama and Alapaevsk, where St Elizabeth met her death. In Ekaterinburg, we were fraternally welcomed by Metropolitan Kirill of Ekaterinburg and Verkhoturiye, who spared no effort to help us visit these holy sites. With Divine aid, I was able to celebrate Divine Liturgy together with Vladyka Kirill in the main monastic church dedicated to the Holy Royal Passion-Beareres (known as the “Royal Church”), at Ganina Yama. The Monastery of the Holy Royal Passion-Bearers is among the newest in all of Russia, and includes seven churches, numbered in accordance with the members of the murdered Royal Family. Finally, at the end of November, 2018, during our diocesan pastoral conference in Toronto, at Holy Trinity Cathedral, we concluded the celebration of the year of the Holy Royal Passion-Bearers. 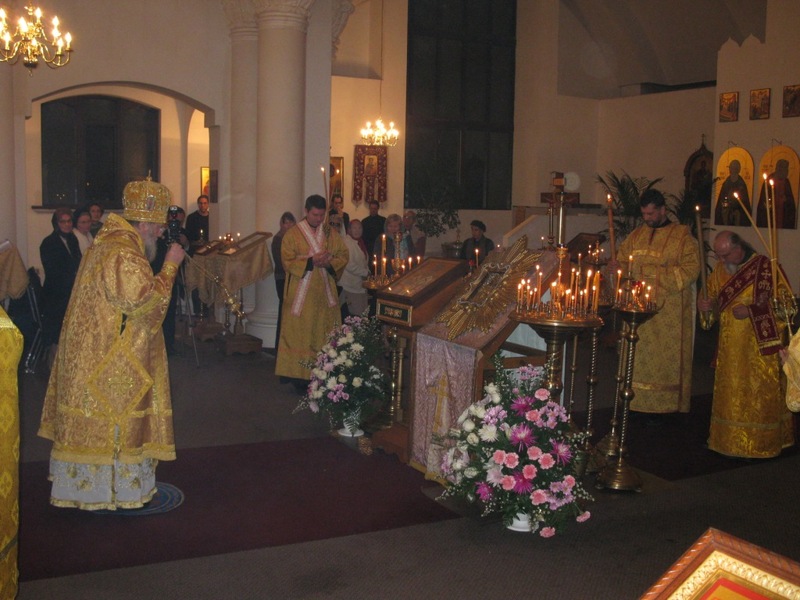 Divine Liturgy was combined with the service to the Holy Royal Martyrs. Professor Protopriest Georgy Mitrofanov of St Petersburg was specially invited to our assembly, who presented the attendees with an unusually interesting and fact-filled lecture on the fate of the Royal Family and the Russian Church in that difficult time. Fr Georgy’s speech was also delivered to the parishioners of Holy Trinity Cathedral on Sunday, November 18. Our Holy Trinity Cathedral in Toronto has developed a special tradition of celebrating the “Royal Days.” Back in September, 2013, we marked the 400th anniversary of the Romanov Dynasty. The same month of September, a session of the Synod of Bishops convened. The rector of the Toronto parish, Mitred Protopriest Vladimir Malchenko, Dean of Eastern Canada, submitted an appeal on behalf of his parish. By Divine mercy, Holy Trinity parish in Toronto is probably the biggest in the Russian diaspora. Incidentally, Her Imperial Highness Grand Duchess Olga Alexandrovna Romanova, the sister of our last Tsar, found her final resting place in Toronto. Next year, in 2020, will mark the 60th anniversary of her repose. – In that case, Vladyka, allow me to ask: you are a descendant of the “first wave” of Russian émigrés. What do you remember from your childhood and youth—what did your parents say about the Royal Family, what did you hear from your elder contemporaries? – More memorable than words were portraits: those of the Tsar, the Empress, the entire August Family. I saw them in our home and in the homes of our friends. It is significant that within our emigration, the number of conscious admirers of the monarchy was at first small, simply because, in pre-Revolutionary Russia, the number of monarchists was admittedly small among all the classes, but especially the intelligentsia, or those who considered themselves as such. But by Divine Providence, many, many Russian people, after living abroad for years, abandoned the “progressive-liberal” fallacies of the intelligentsia. This represented a return to our roots of practically everyone, and all this began with a return to the embraces of the Church, the self-recognition as Russian Orthodox Christians. For sadly, many only came to the Church after being exiled. They rushed to the Church to escape from their troubles, out of sheer spiritual need. And if one is to judge by the sentiments of the “second emigration,” something similar was happening in those years in Russia itself. But it is important to understand that we Russians, precisely due to having abandoned the will of God, could not avoid these errors. We could not find the strength within ourselves to resist the conspiracies and “hybrid warfare,” because we neglected Divine will and rejected the Anointed of God, and the Lord, so that we would see the light, withdrew from us. That is why the haters of Orthodox Russia were able to take advantage of our weakness. 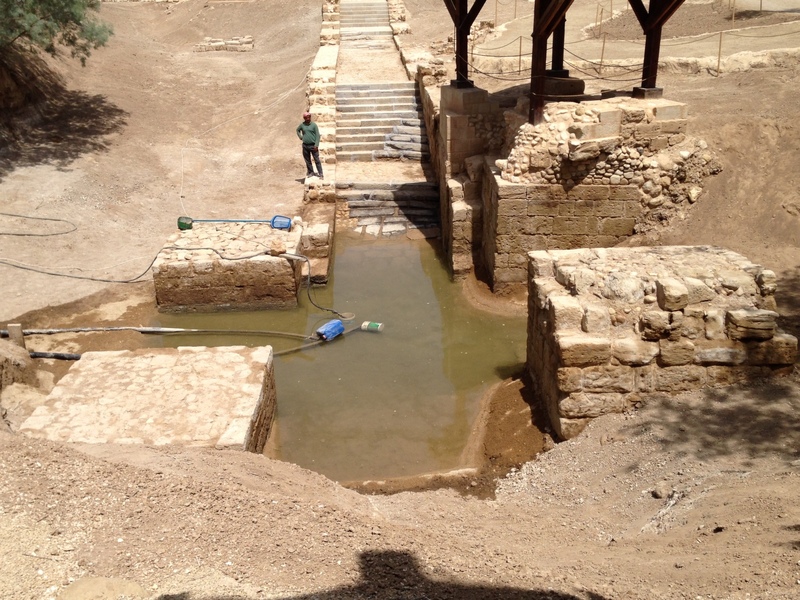 The “Restrainer” was taken from us through our own fault. The Abbot of the Russian Church Abroad, Metropolitan Anthony (Khrapovitsky) of blessed memory, “an exceptional patristic phenomenon,” as the renowned Serbian theologian, Archimandrite Justin (Popovic), called him, spoke the following prophetic words in 1905: “Now, when the revolt is sparking open outrages, when the entire Russian land is being brazenly choked by its pranks, when they spit in your eye, o dear Russia, our hearts are now filled with shame and repentance. Now we understand how we needed to preserve you, our Tsar…” One can’t help but think: was this “now” uttered over a century ago, and not yesterday and not today? – The same year, 2018, marked the 100th anniversary of the beginning of the internecine Civil War in Russia. Can we agree that among the Russian people, reconciliation has taken root, that is, the mutual wrath of the Civil War has finally, thank God, receded into the past, or is it still in the process of receding? – By my observations, there is still a lack of understanding in Russia about what happened to us, to our people. This misconception stretches from top to bottom. It’s as if we cannot make room for the truth. The people of Russia, a majority, are properly indignant about the actions of the collective West with regard to our Fatherland; sanctions, the flood of fake news, the constant attempts to “restrain” Russia, and finally attempts to overthrow the government. But these same forces over the course of many long decades tried to destroy Tsarist Russia, to defile the Divinely-appointed Anointed of God, destroy Russian Civilization. It is no accident that in St Petersburg, after the February Revolution of 1917, it was rumored that the Prime Minister of Great Britain, Lloyd George, having learned of the forced abdication of the Tsar, rubbed his hands together and said “One English goal in this war has been accomplished.” The events of that October were in my opinion a direct continuation of February’s events. The prototypes described in Dostoevsky’s book Devils came to power in our Fatherland, which fully corresponded with the aims of the enemies of Russia. Remember how before the First World War, all the exceptional economic indicators in Russia pointed to her coming power and greatness. We know what happened a short three years later. The Second Time of Troubles came to Russia, which proved more horrible and longer than the first, which had ended with the election of Mikhail Romanov to the Throne. The Second Time of Troubles swept away millions and millions of Russian lives. Whatever we call these terrible events—repressions or “the consequences of the Civil War of the elites,” the essence of those events remain unchanged: a new regime, atheistic, with a satanic hatred of the Orthodox Church, brought Russia immeasurable catastrophes and sufferings. I recall the prophetic words spoken by Metropolitan Anthony in 1905. The hierarch warned that if the Divinely-appointed Royal regime is shaken, then the people “will be the sorriest of nations, enslaved by the enemy of all her holy and dear pillars of her thousand-year history, by a persistent and brutal enemy, who will begin by depriving us of learning the Law of God in schools, and will end with the destruction of holy churches and the discarding of the relics of God’s saints, gathering them in anatomical museums…” That is precisely what happened. The godless regime, with all its cruelty, remained blind and deaf. Even the Russian victory in World War II (the Great War of the Fatherland) taught the regime nothing. But external forces hostile to Russia understood that the danger of the Russian rebirth was still a reality, which meant that the destruction of our Fatherland must continue. By the final decade of the 20th century, Soviet Russia seemed to become a genuine superpower. But some two or three years later, the Third Russian Time of Troubles arrived. In order to overcome it, the old process of fragmenting our historic self-identity had to be overcome. If we are indignant today at the external efforts to achieve regime change in Russia through “technologies,” then we must admit that 100 years ago, practically the same thing was taking place, consequently, we must condemn the internal forces that led to the Russian Time of Troubles of 1917-1918. It would seem that we all want a strong Russia. But this might be impossible to achieve if we don’t grasp what happened to us. When we speak of the Soviet epoch, one often hears: “That was our history!” Absolutely correct. But this period in our history remains to this day not fully understood. It is sad to say that the podvigi of our Holy New Martyrs of Russia are not fully internalized. The files of many of them who have not yet been glorified remain in archives, which are sealed. The reason, we are told, is so that the descendants of those who were the de facto executioners of the New Martyrs would not be troubled and insulted. This for me is completely unacceptable. I propose that all such files should be opened, and the descendants of those who committed the grave acts should be called upon to pray for the forgiveness of their unfortunate ancestors before the Lord, Who “lifts up the fallen and elevates those who are cast down.” Much can and should be done in this area, both by the government and by the Church. – Let’s talk a bit more about anniversaries: but now your personal ones. Ten years have passed since you were appointed to the Canadian Diocese. Can you give us an overview: what has changed in the diocese entrusted to you over this time, what has been accomplished, what remains ahead? – I was assigned by the Synod of Bishops to minister to the Eastern Deanery of the Canadian Diocese in December 2001 while remaining Bishop of Manhattan. But when I was given the cathedra of Canada, I began to understand what happened there, what the reason was for the troubles and conflicts. For instance, here, due to the fire of the winter of 1998 the magnificence of St Nicholas Cathedral was reduced to burnt walls. Today, 20 years later, though reconstruction continues, thank God, we have a place to pray together. Though frankly, we still do not have a real iconostasis… We rely on the help of God. Very recently, after many years of effort, we managed to establish a candle factory. At one time, the revenues of the Canadian Diocese were based on the traditional candle business, and so we rely on that resource today. Unfortunately, our diocese no longer has a working monastery, but by Divine will, new monastic communities will be formed. 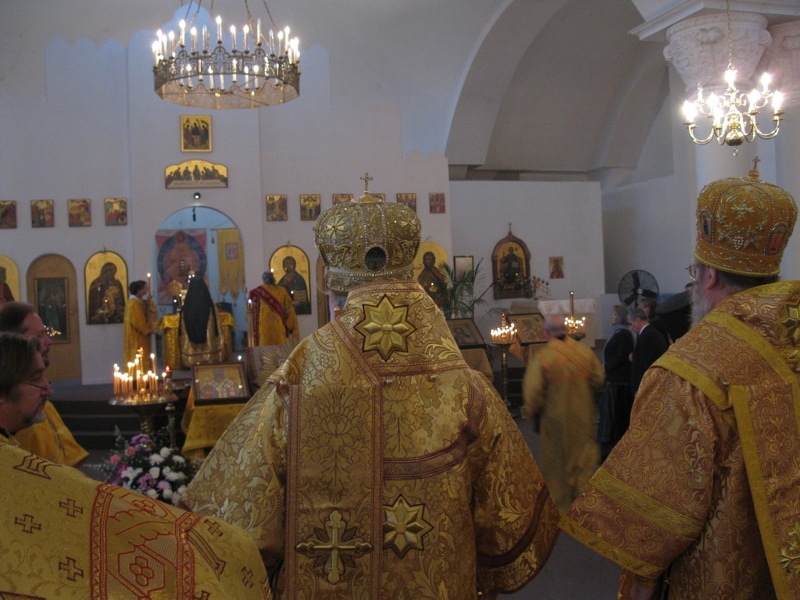 At the same time, the number of parishioners is growing, first of all due to the newly-arrived immigrants from Historical Russia, and so the number of parishes is growing: the Parish of St Tikhon of Moscow the Confessor in Cambridge, ON; Holy Prince Vladimir, Equal-to-the-Apostles Church in Saskatoon, Saskatchewan, which never had a Russian Orthodox community before; and St John of Shanghai and San Francisco Church in Calgary, AB. The small, so-called “summer” community of the Church of the Smolensk Icon of the Mother of God in Jackson Point, ON, thank God, has multiplied and has become a big, growing parish. We try to live in peace with one another. When it comes to property conflicts, during which great funds were expended by the once-wealthy Canadian Diocese, we no longer turn to civil courts but seek out peaceful paths appropriate for Orthodox Christians. – What is your opinion of the events surrounding the granting by Constantinople of so-called “autocephaly,” which the hierarchy of the canonical Ukrainian Orthodox Church did not even request? Are the actions of the Phanar purely political, that is, non-ecclesiastical, or even anti-ecclesiastical? That is precisely, in my opinion, the way we should view these actions. This not simply a violation of order which disrupts the Church, but simply the trampling on of the Holy Canons, going far beyond all bounds. His Holiness Patriarch Kirill recently called the actions of the Phanar “political adventurism,” and His Beatitude Metropolitan Onouphry noted recently that this “new ecclesiastical structure” is actually a political party which will not last. The crisis lies in the fact that a centuries-old canonical order is being threatened. This may bring suffering and blood to the ancient land of Kievan Rus. Comprising this “Orthodox Church of Ukraine,” created by demand for political ends, are only schismatics, and, thank God, not many traitors to the true Church. It is difficult to refute the opinion that in “restoring” the anathematized former Metropolitan Philaret Denisenko, Patriarch Bartholomew himself is subjected to anathema. What Anisimov said needs no further clarification. I would only add that for us in the Russian Church, such actions by the Patriarchs of Phanar are by no means new. Back in 1924, under Gregory VII, the Phanar demanded that His Holiness Patriarch Tikhon the Confessor immediately resign from ruling the Church and recognized the Synod of the “Obnovlentsy” [Renovationists] and proposed to the Serbian Patriarch Dimitry that he shut the Synod of Bishops of the Russian Orthodox Church Outside of Russia, which at that time was located in Serbia. Measures were taken against the Russian bishops living in Istanbul at the time: Archbishop Anastassy (future Primate of ROCOR) and Bishop Alexander of North America. They were suspended from clerical service, commanded to cease commemorating Patriarch Tikhon, and advised to acknowledge the legitimacy of the Soviet State. The pitiful history of the Constantinople (Ecumenical) Patriarchate over the last century continued, but we could also turn to the times of the Brest Union of 1596, when several bishops of the Kiev Metropoliate of the Constantinople Patriarchate, headed by Metropolitan Mikhail Rogoza, accepted the Catholic version of the faith and moved to the jurisdiction of the Roman pope while preserving the “Eastern rite” of divine services. But the matter lies not in individuals and their weaknesses and sins, from which bishops are not exempt. One remembers the second chapter of Apocalypse (Revelation of St John the Theologian), which speaks of the seven local Churches in Asia, at one time grand and glorious, but by Divine providence disappearing without a trace. The One Holy Ecumenical Church is eternal, though her temporal life is subject to the laws of temporary existence. Observing these events, one cannot but ask: Does the Ecumenical Patriarchate of Constantinople still exist in the world if it disappeared along with Byzantium? Do we not mistake her for a dubious “ecclesiastical structure” which for so many years has been selling geopolitical services in the world market? Obviously only an Ecumenical Council can seek answers to such questions. Meanwhile, we must not forget the words from Revelation: “He that hath an ear, let him hear what the Spirit saith unto the churches; To him that overcometh will I give to eat of the tree of life” (Revelation 2:7). 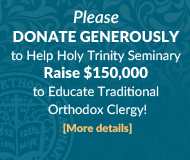 In these troublesome days for the canonical Ukrainian Orthodox Church, I would like once again to express our support for her lawful Primate, His Beatitude Metropolitan Onouphry, and his suffering flock, which is called upon to “uphold as her cross,” as St John of Shanghai and San Francisco once said, true Orthodoxy on the ancient lands of Kiev and Galician Rus.